The General, a pioneering residential building in Northcote designed by emerging Melbourne architecture practice C.Kairouz Architects has been recently completed. Located on the corner of High Street and Bent Street, the development's moniker is derived from the nickname of Kairouz’s late father. 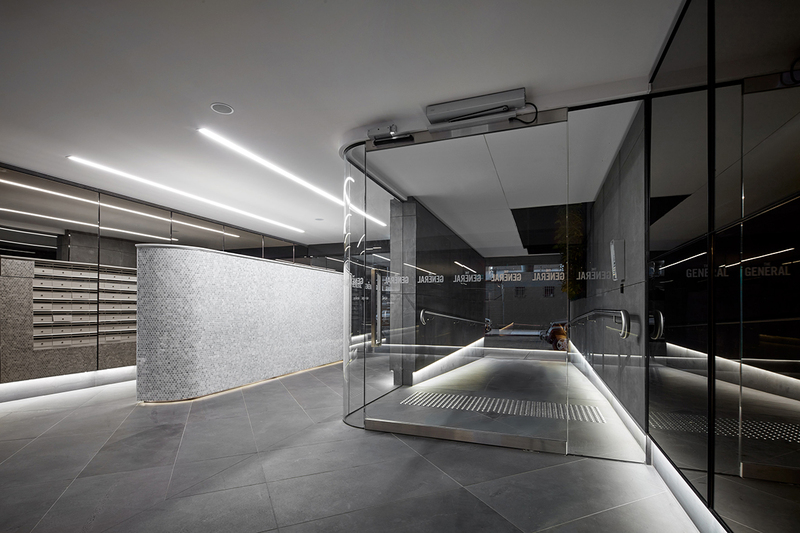 Built at the former site of the family’s butcher business, the project has been designed to honour his journey as a migrant to successful Australian business owner, while also employing strong sustainability measures on the way to a 7.5 start NatHERS energy rating. 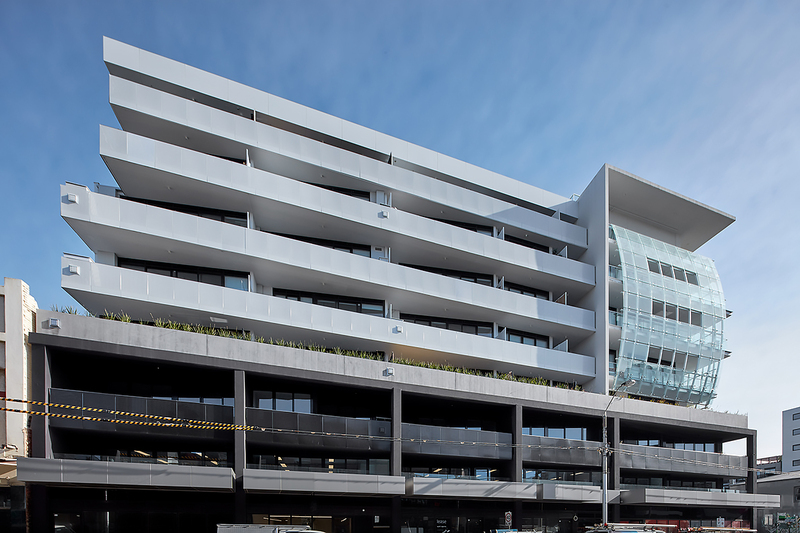 The development is also the first ever residential building in Australia to use Onyx Solar photovoltaic glazing - as both a balustrade and power source - providing high quality and sustainable architecture. Working closely with engineers, the firm looked to ensure the energy produced by the glass offset the cost of light, power and mechanical equipment in common areas. Urban.com.au asked Managing Director of C.Kairouz Architects, Chahid Kairouz about the sustainable design measures within the project and how they went about becoming the first Australian design firm to use photovoltaic glass. Urban.com.au: What was the catalyst for incorporating the Onyx photovoltaic glass on The General? And at what stage of the design process did the decision to include this in the design occur? Chahid Kairouz: The General was inspired by the desire to honour my late father’s legacy and pioneer a new technology with a sustainability focus. Onyx Solar photovoltaic glass was adopted due to its appeal of being both a building fabric and a power generating element. We worked with many consultants to review different technologies and really pushed to champion this product in Australia and start the take-up of this technology and notion of innovative ways to clad the building. U: Sometimes design features such as solar harnessing capabilities are poorly integrated into the design. How important was this in providing a quality design response for The General? CK: We worked closely with ETS, Energy Efficient Choices and Inhabit in order to develop the product specifically for The General. This was a project in itself, coordinating with steel fabricators, structural engineers, fire engineers and the facade engineer to produce detailed shop drawings. Special engineering of the product was needed to ensure that it would be strong enough to withstand the practical use of acting as a balustrade, as well as yield the potential to generate solar power. Additionally, the Onyx Solar product is very aesthetically beautiful, so works perfectly as a sleek, black building fabric on the northern facade. The Onyx Solar glass, coupled with other sustainable initiatives meant that we sought a minimum 7.5 natHERS rating. U: The idea of legacy is often spoken about in terms of new apartment developments and what they contribute to their immediate context. The site was formerly home to your family's butcher business, how much did the idea of legacy influence the design and the development of the site both in terms of environmental and social sustainability? CK: The butcher business my father started with his five brothers still runs today, and is one of the most recognised and demanded product brands in the small stock industry (Cedar Meats). The whole business is run on the values of environmental and social sustainability, from our commitment to animal welfare to employing over 400 staff, many of them ethnic migrants, just like my father. As a result, the business was the winner of the National Ethnic Business of the Year in 2015. It was extremely important to reflect my father’s values in the design of The General; not only for sentimental value but to stand the test of time in its design and its use of cutting-edge sustainable technology on the facade; a combination makes the building and the apartments be relevant for longer. Similarly, the original design for The General started at 114 apartments but was reduced to 87 to make way for greater mixed-use spaces so the building could be more multidisciplinary. U: Being the first Australian project to incorporate photovoltaic glass did you have to research projects abroad and what did you learn? CK: Pioneering the product on a facade in Australia for the first time came with inherent challenges and naturally, there was a big degree of experimentation involved. Technically speaking, it displays a solar factor of 10%, making it an ideal candidate to achieve control over the interior temperature. The product has been proven to yield low-emissivity properties, provide a UV and IR filter, promote natural light, and generate power. Statistically translated, this allows The General to generate 2,075 kWh per year and prevents the release of 1.95 tons of CO2 into the atmosphere. Pioneering the product encourages future development and refinement to make it more commercial and increase the public awareness and philosophy for it to be adopted in the future. U: Do you expect more developers and architects to follow suit and will you be looking at incorporating photovoltaic glass in future projects? CK: Yes - we feel that industry recognition and support of our initiative is important in spreading the message.